About Me. Find out who I am and why I am building this site. 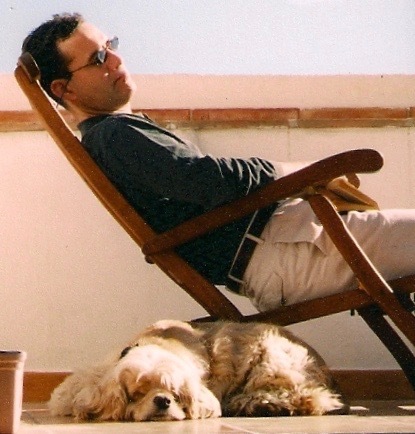 Me asleep with a friend's spaniel. Hi, I am Richard, and I want to welcome you to my website, Dog Breeds Expert. I am the face and voice of this site and I am so glad you dropped by! If you are here, you probably love dogs as much as I do, and want to learn more about a particular breed you are interested in - would that breed be right for you? Perhaps you just want to learn more about all the purebred dogs of the world, and even something about the many hybrid breeds that are available. Did you know that there were over 400 + breeds listed by the Fédération Cynologique Internationale? 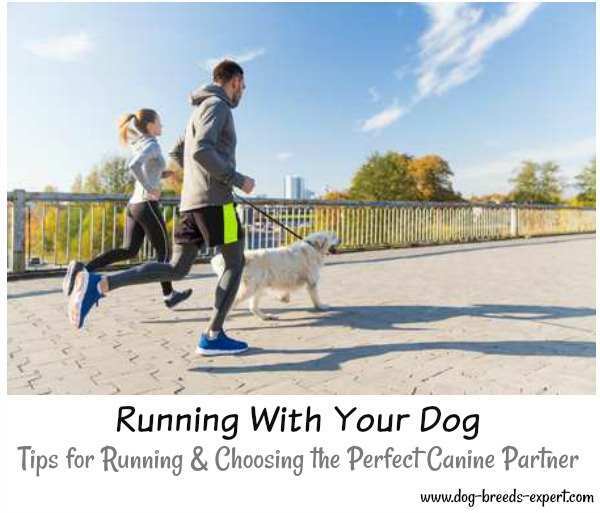 If you are interested in a new canine companion, knowing what to expect from a particular dog breed is very important. You want to have the MAXIMUM fun from your dog, with the least hassle. Knowing as much as possible about a breed BEFORE you buy will make your decision much easier, and result in a much higher chance of a successful relationship with your new buddy. 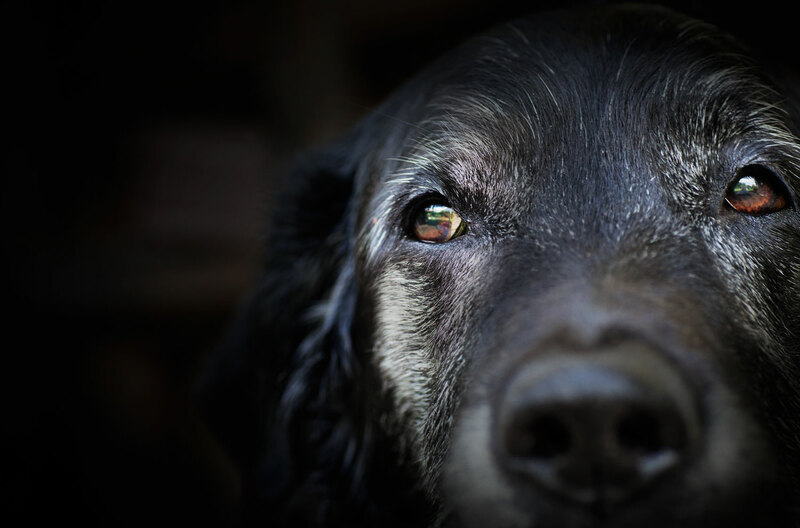 Sadly many dogs end up in shelters because their owners did not understand them. Often these owners just didn't do their "homework" before adopting or purchasing their dog. 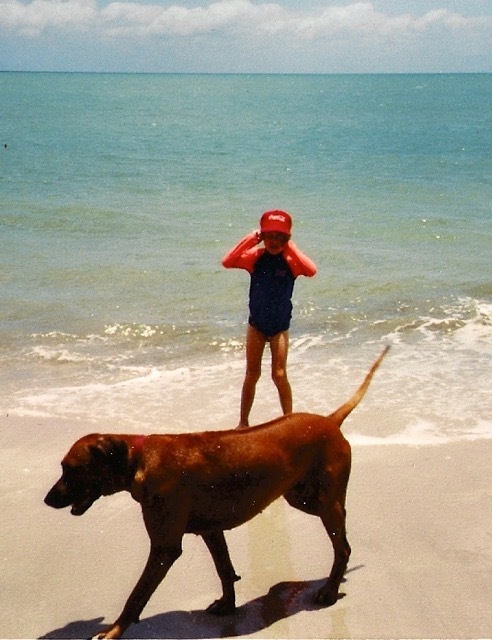 My young son with the family Rhodesian Ridgeback, who weighed over 90lbs. I hope to help everyone who visits this site understand how important it is to research a breed first to be sure they are compatible. All puppies are adorable, wouldn't you agree? 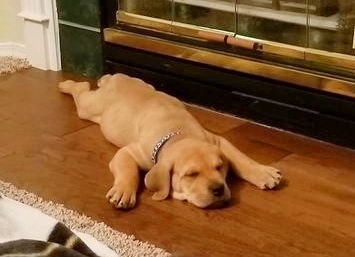 Many people see a cuddly puppy and forget that the puppy will grow into an unruly adolescent and then an adult who may be hard to manage if the owner hasn't taken the time or made the effort to train the dog correctly, according to it's breed. Here is where I come in. You see, I've been a dog lover for my whole life and have owned many dogs. Big ones, little ones, fluffy ones, wiry ones - there is something irresistible about every dog! 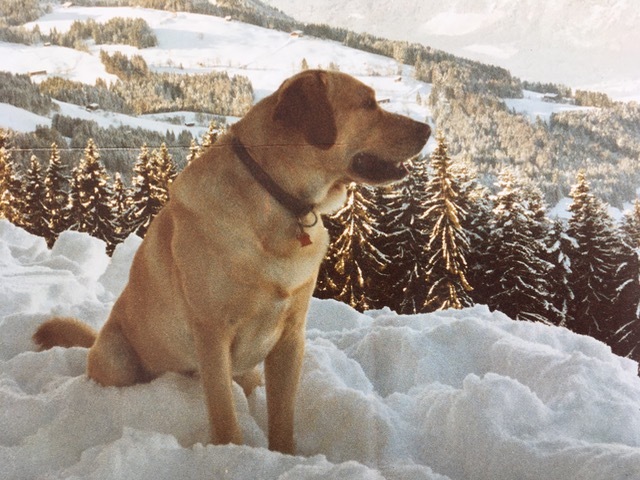 My labrador, Seamus, in the Austrian Alps. I want to help you find the RIGHT BREED for YOU! I hope you find my website educational and useful. Remember, a dog is for life! You may want to know a little more about me! As well as my love of dogs I am also a keen runner and swimmer and have just entered the world of SwimRun - a tough endurance sport. In June 2019 I am entering an event that involves 18 miles swimming and 5 miles running on the Isles of Scilly in the UK, raising money for a charity helping young hearts in the South West of England in memory of Mogsy's (my partner) daughter's fiancee who tragically died aged 28 leaving his 8 month old son, whilst out on a run - read more about our challenge here and any support would be much appreciated!